Microwave jam recipes Jam making is made easy with our microwave jam recipes. Ready in a flash, you can savour summer year-round with microwave strawberry jam, plum jam and more.... 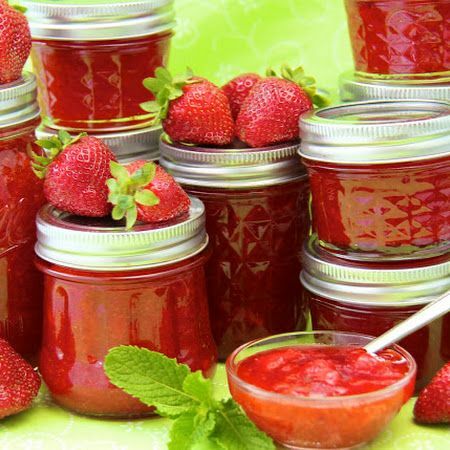 This particular homemade jam recipe evolved when my husband tried " Margaret's Marvellous Microwave Method " for making strawberry jam, but using some grapefruits from my parent's garden. To our delight, the marmalade turned out very tasty. Stir the marmalade to distribute the peel evenly, then ladle into the heated jars. Seal with waxed paper, clean and leave to cool with a cloth over the top. When they have completely cooled, top with jam pot covers and lids and label.... Directions. Wash fruits and slice to 1/8 inch thick-discard the seeds and ends. Chop coarse. In a 2-3 quart microwaveable bowl mix fruit with sugar. Microwave on high (uncovered) for 6 minutes, giving the mixture a chance to boil. 6. Stir, and continue to microwave in 2 minute bursts (stirring after each burst) for a total of 10 minutes. how to make egg souffle I have been making strawberry jam. I have done both microwave and stove top methods and find that my jam does not set each time. I live in Johannesburg and we are 1700metres above sea level which I am sure makes a difference to some recipes (definitely breadmaking � we add more yeast!). Microwave on high (uncovered) for 6 minutes, giving the mixture a chance to boil. 6. Stir, and continue to microwave in 2 minute bursts (stirring after each burst) for a total of 10 minutes. minecraft how to install the 1.7.10 pack Orange Marmalade. A jar of home-made jam or marmalade makes a lovely and inexpensive gift. This recipe uses a microwave and food processor to speed up the cooking process. Stir the marmalade to distribute the peel evenly, then ladle into the heated jars. Seal with waxed paper, clean and leave to cool with a cloth over the top. When they have completely cooled, top with jam pot covers and lids and label. 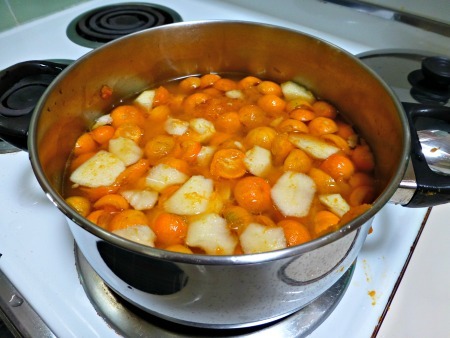 26/01/2011�� I have been making marmalade at first on the hob and then in the microwave for about 40 years and this recipe gives me more marmalade as a ratio of weight of fruit to jars of marmalade and is so much easier than any other recipe I have used. Directions. Wash fruits and slice to 1/8 inch thick-discard the seeds and ends. Chop coarse. In a 2-3 quart microwaveable bowl mix fruit with sugar. Place the ingredients into a microwave-safe container, and microwave for 8 minutes, stopping to stir every few minutes. Allow to cool for at least two hours.